Superbe service. Appt is fully furnished with a welcome basket on arrival....1 minute walk from the Graton center. Great facilities. Easy walk to town/pubs/lovely parks etc. Really handy multistory 24hr car park. Cafetiere! We arrived early and were allowed to leave our big suitcase in the apartment several hours before check-in, which gave us more time to explore the town without having to drag a suitcase around. We really appreciated that. The staff was so friendly and flexible with us. We also really liked that we got a baby crib for free. The apartment's kitchen was very well stocked. The location is really good once you make it out from behind the shopping center. 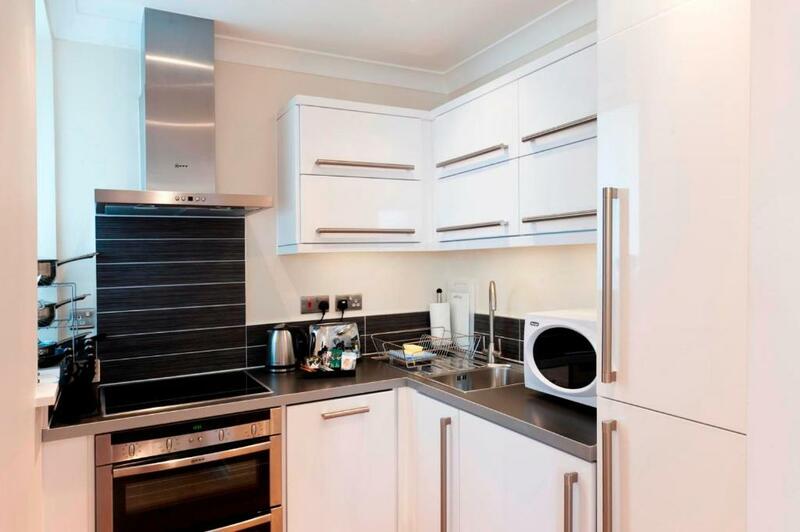 Well appointed, well maintained, well stocked kitchen (utensils and appliances), the hosts obviously consider the comfort & convenience of the customer. The apartment is modern and very comfortable. 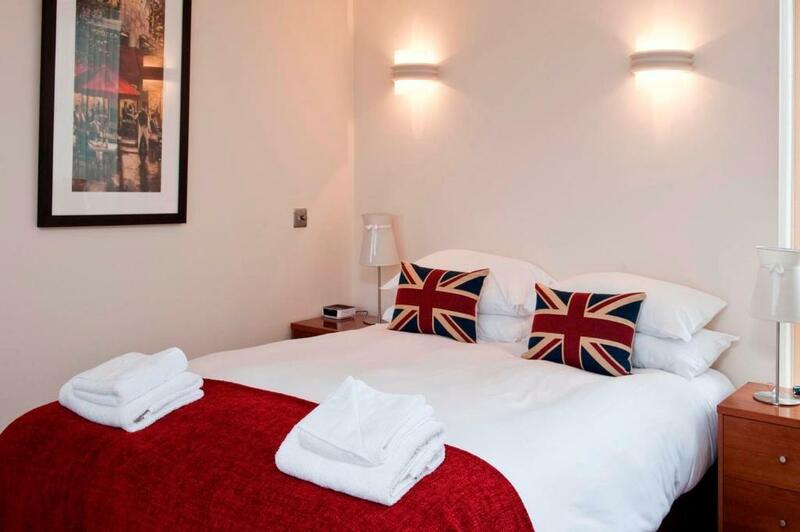 It is well equipped, conveniently located, quiet and very clean. Very nice and well-equipped apartment. Minor problem with noise due to proximity of front door (and banging of internal fire doors), but not a real problem. No traffic noise - it's tucked away in a little street behind the Grafton Centre (so, not pretty, but quiet). Excellent hot water for shower. Plentiful supplies for dishwasher. Relatively near a small Waitrose. Spacious, clean, incredibly well equipped with everything. The location, the space, the cleanliness. Apartment are very well equipped. Liked everything, the size, the facilities, the balcony, the location and esp. how clean it was. 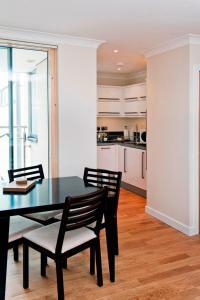 Lock in a great price for Your Space Apartments - Byron House Studio – rated 9.1 by recent guests! 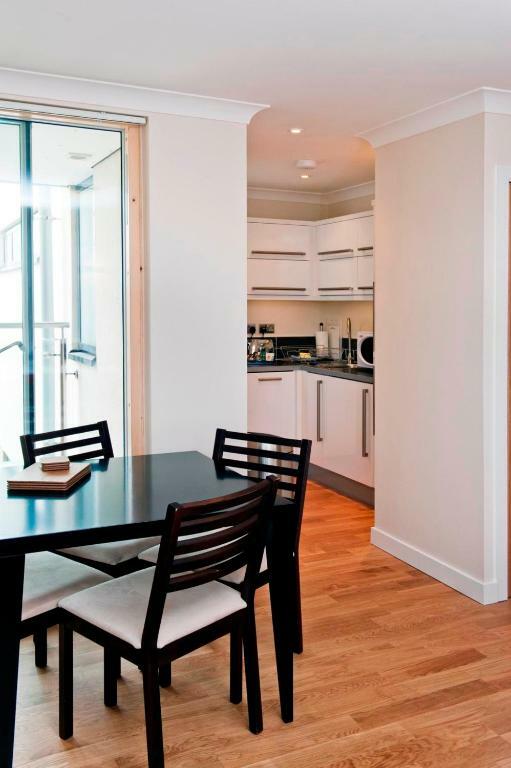 Your Space Apartments - Byron House Studio This rating is a reflection of how the property compares to the industry standard when it comes to price, facilities and services available. It's based on a self-evaluation by the property. Use this rating to help choose your stay! Located in the heart of Cambridge, Your Space Apartments - Byron House Studio features fully equipped apartments with free Wi-Fi. The apartments are within 1 miles of King’s College and the Cambridge Corn Exchange. With wooden floors throughout, the Byron House apartments boast floor-to-ceiling windows and a 32-inch flat-screen TV with a DVD player. 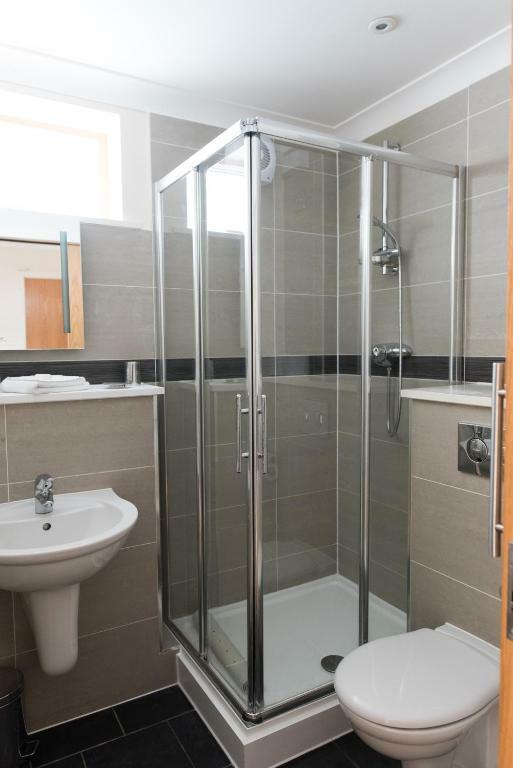 The modern shower room features The White Company toiletries and a hairdryer. 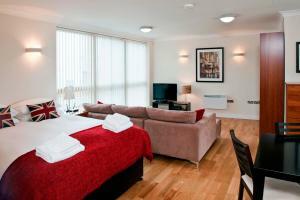 Serviced weekly, the apartments include a fully equipped kitchen with a dishwasher and washing machine. Your Space also provides a complimentary welcome pack containing items such as tea, coffee, and cleaning products. 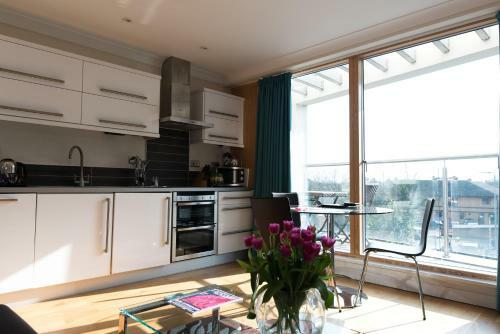 The Byron House apartments are just a 10-minute walk from the historic city center, which offers punt trips along the River Cam. Within an easy walk of Cambridge’s various restaurants, pubs, and bars, Your Space Apartments is located next door to The Grafton Shopping Center, which offers a multi-screen cinema. 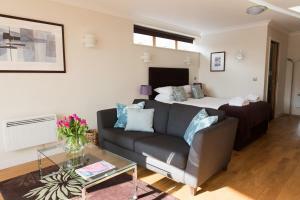 When would you like to stay at Your Space Apartments - Byron House Studio? This apartment offers free Wi-Fi and is serviced weekly. It features a terrace or a balcony, along with floor-to-ceiling windows. 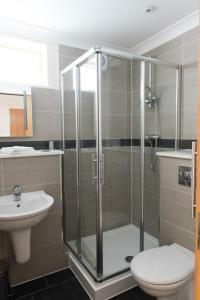 The modern shower room features The White Company toiletries. 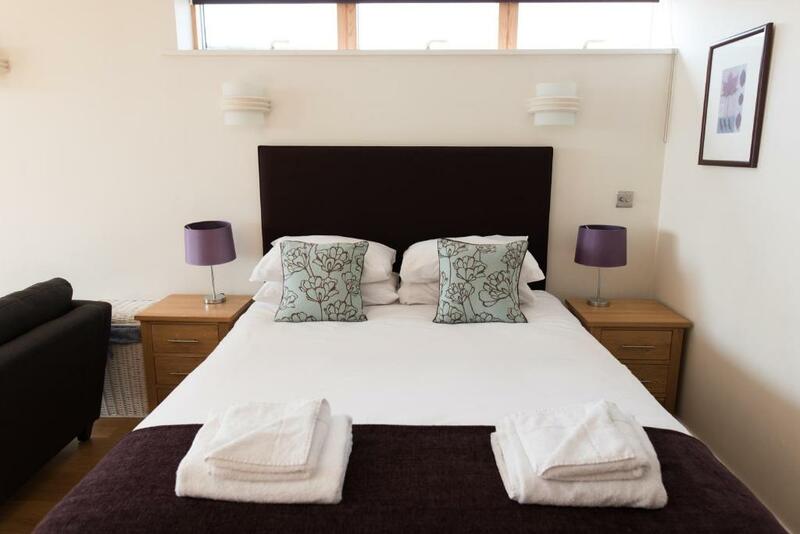 The fully equipped kitchen offers a complimentary welcome pack, including items such as coffee and sugar, along with cleaning products, dishwasher tablets and sponges. Your Space Apartments have been offering short term accommodation to business and leisure visitors to Cambridge for over 13 years. House Rules Your Space Apartments - Byron House Studio takes special requests – add in the next step! Your Space Apartments - Byron House Studio accepts these cards and reserves the right to temporarily hold an amount prior to arrival. Kindly note there is little phone reception at the apartments. Please contact the apartments 45 minutes prior to arrival to arrange check-in. Contact details can be found on the booking confirmation. Please note, payment for your reservation must be made via a secure link before your arrival. 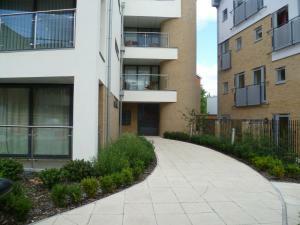 The property will send the link and further payment information in a separate confirmation. Please inform Your Space Apartments - Byron House Studio of your expected arrival time in advance. You can use the Special Requests box when booking, or contact the property directly using the contact details in your confirmation. As other reviewers mentioned, the banging entrance doors are LOUD! This is really quite annoying, especially at night and could be easily fixed. Everything thing was nice .. Although very helpful and kind, I found dealing with the Your Space Apartments confusing. As I was travelling I did not realize they expected payment and for me to contact them 45 minutes before arrival. Also, the check out procedure was not clear. I had to send emails and phone messages to get clarification. Having to call ahead to meet the person with keys worked out fine, but it would be much simpler to have the keys waiting in a combination box. Not much laundry detergent provided - had to buy a whole bottle. View of back of shopping centre. But it's only a few minutes walk into centre of town so works very well. There as no lift up to the apartment. We have to climb up especially with heavy luggages. Everything was perfect for what we needed. I LOVE how comfortable the bed is. The room is very safe and nice to stay in. Staff are extra helpful.